Meet the latest super hero – Man of Cellulose! Will an intentional ‘cooling’ of the BC housing market hurt the forest industry? Victor Godin asks the question, adding that 80-plus First Nations in BC depend on the logging sector. Meanwhile, in the US, the cost of goods used in construction continue to climb—lumber and plywood have jumped 11% in the last year. 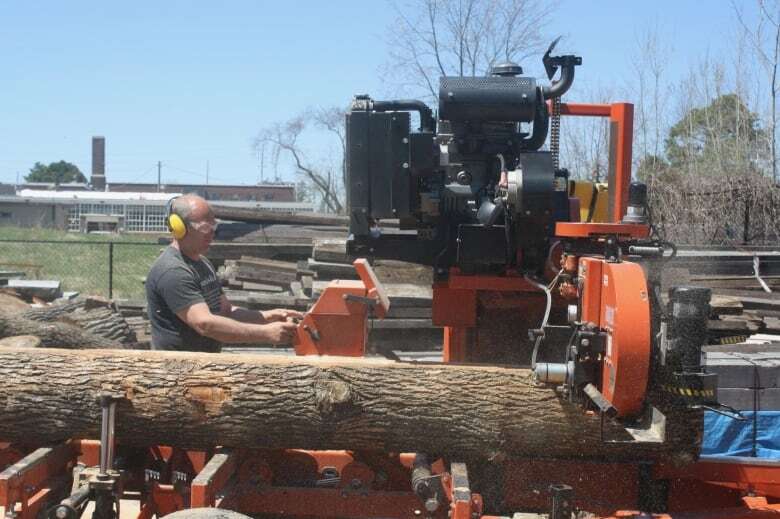 From the world of Wood: an entrepreneur is processing trees downed in Ontario’s recent storms in his family sawmill; the Canadian Wood Council says timber bridges showcase the strength and durability of wood; and StructureCraft’s Lucas Epp says of the proposed Toronto timber tower “it’s safe, it’s reliable, it’s cost-efficient”. The Canadian Wildland Fire Strategy predicts that fire intensity and frequency will increase due to climate change; The Trump administration has “quietly killed” NASA’s Carbon Monitoring System; while experts in Oregon agree that climates are changing—warmer winters, and hotter, drier summers. Finally, make way for a new super hero – the American Chemical Society introduces Superman – Man of Cellulose! Will cooling the housing market kill jobs? The B.C. government coalition has made it unequivocally clear that its intention is to cool the housing market and lower sales prices. What isn’t so clear is what economic impact assessment has been done in terms of job impacts. Housing construction is a job bonanza for skilled trades. …The jobs that could be affected by slowing sales and squashing prices are significant. …The potential job impact goes beyond Vancouver. The government reports that 140 communities throughout B.C. rely on a strong forest industry. Has there been a calculation of how much of that wood comes into the B.C. homebuilding market? …Then there are the 80-plus First Nations in B.C. who have dependence on logging. For some of them, that’s their only economic option. The cost of goods used in construction jumped in April at the fastest year-over-year rate since 2011, with ongoing increases for a wide range of building materials, including many that are subject to proposed tariffs that could drive prices still higher and cause scarcities, according to an analysis by the Associated General Contractors of America of Labor Department data released today. …From April 2017 to April 2018, the producer price index jumped by 11.9 percent for aluminum mill shapes, 11.0 percent for lumber and plywood and 7.4 percent for steel mill products. …Association officials said the Trump Administration’s tariffs pose a real threat to the continued growth of the construction industry. As steel, aluminum, and wood prices continue to surge, contractors will be forced to charge more, potentially discouraging or delaying new infrastructure and development projects. While the gales from last week’s windstorm have moved on, one local business is making sure the trees brought down by the storm don’t go to waste. Sidney Gendron runs Sawmill Sid, a family-run sawmill that collects felled and diseased trees at its Tree and Wood Recovery Centre in Mississauga. Once processed, downed trees can be repurposed as furniture, art pieces or materials for housing and construction. …Jim Donaldson, the CEO of the Alberta-based Canadian Wood Waste Recycling Business Group, says it will take a big shift in government thinking for the wood recycling industry to take off. His group is bringing together industry and academia to shepherd the development of a wood recycling industry across Canada. 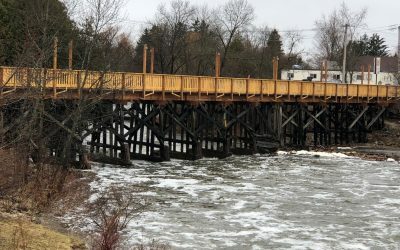 A celebration marked the restoration of West Grey’s Heritage Walkway Bridge which provides a pedestrian crossing over the Saugeen River in downtown Durham. Mayor Kevin Eccles says the timber bridge construction model is a fitting solution to restoring the community landmark. The walkway bridge was restored using timber bridge construction by Timber Restoration Services of Moncton New Brunswick. The structure was built in New Brunswick piece-by-piece then reassembled in Durham. Project costs totalled $560,000— the restored Durham Railway Bridge cost the community half the cost of a steel bridge. …According to the Canadian Wood Council, timber bridges “are an excellent way to showcase the strength and durability of wood structures, even under harsh conditions” and are an effective solution for bridges that span fast rivers or deep gorges. 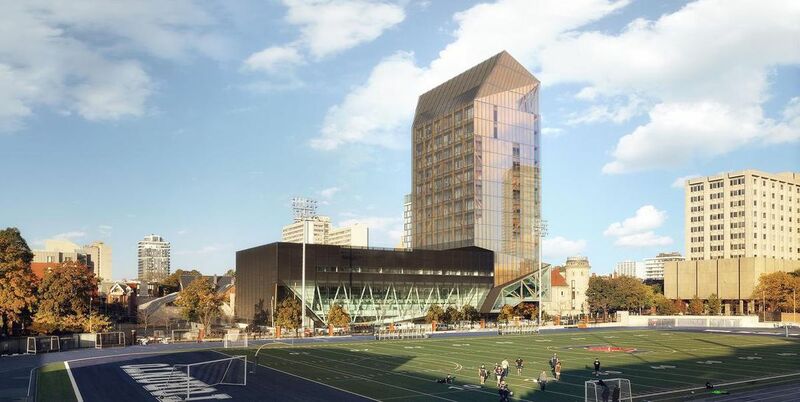 The University of Toronto is slated to build a timber tower that it says will be among the tallest of its kind in North America. A 14-storey building, made of wood and concrete, will be built at its downtown campus off Bloor St. W. Construction of the tower, which will partially be built with cross-laminated timber, is tentatively set to begin in 2019. Gilbert Delgado, chief of university planning, design and construction at the University of Toronto, said cross-laminated timber “gives you the opportunity to create some really lovely interior spaces that are faced in natural wood” and still be fire-resistant. …Lucas Epp, head of engineering at StructureCraft, said “there’s definitely a lot of hype around taller wood buildings because it garners a lot of media attention and intrigues people’s interest.” “The cool thing about tall wood buildings is that they set a trend, they set an example of what’s possible,” Epp said. When it comes to materials, there is no question as to who wins the strongman competition. Spider silk is known as being the strongest fabric, and steel, ceramics and glass fibers are the best building materials. But now, researchers are reporting in ACS Nano that specially arranged nano-sized cellulose fibers are the strongest material of them all, in a move that might cause some to re-name Superman the “man of cellulose.” …Recently, scientists have been trying to mimic the architecture of natural materials on the nanoscale level with the hopes that it would translate to larger-scale strength. For example, a strong, stiff cell wall layer in wood is made up of cellulose nanofibrils (CNFs), and the organization of this material has served as inspiration for the creation of strong, macroscale substances. …The researchers say that the material could be useful in many load-bearing applications, such as light-weight bio-based composites for cars and bikes, as well as high-performance medical implants. OAK CREEK — IKEA, which was founded in 1943 and now has 416 stores internationally, believes in and practices environmental sustainability and social responsibility. …IKEA requires all of its wood suppliers to adhere to the company’s IWAY Forestry Standard; it sets out rules in 17 categories to protect workers and the environment. Working with World Wildlife Fund, IKEA has increased Forest Stewardship Council-certified forests by about 865 million acres, about the size of Germany. Seventy-seven percent of the wood the company uses currently comes from recycled or FSC-certified sources. Mehdi Tajvidi, an assistant professor of renewable nanomaterials at the University of Maine, has been awarded $250,000 to develop next-generation floor and wall products that utilize cellulose nanofibrils, the microscopic natural structural building units of wood that are biodegradable and possess incredible strength and bonding attributes. Tajvidi’s award from P3Nano — a public-private partnership founded by the U.S. Endowment for Forestry and Communities and the U.S. Forest Service — will be used to develop three next-generation CNF building materials — one of which is a scratch-, fire- and water-resistant flooring system made of CNF and cement. …Three years ago, Tajvidi led a UMaine team that was awarded a $350,000 grant by P3Nano to use CNF as an eco-friendly binder for strong particleboard panels. Urea-formaldehyde currently is used as a binder and the U.S. Environmental Agency has classified formaldehyde as a probable human carcinogen. The Stellat’en First Nation have secured a 25-year woodland licence covering 10,781 hectares of Crown land near Fraser Lake. It will allow the band to harvest 32,500 cubic metres of timber per year, for the first five years, with a step down to mid-forecast levels for the remaining years. An agreement that provides the licence was signed Wednesday by the band and the provincial government. “Through this agreement, the Stellat’en First Nation will be able to tap into an additional revenue stream, and will have an opportunity for greater input into local forest stewardship,” said Doug Donaldson, Minister of Forests, Lands, Natural Resource Operations and Rural Development. It was also hailed as a step along the path of reconciliation. 60 people, including one special guest, gathered … in South Bruce Peninsula to celebrate the 80-year anniversary of Bruce County forests. Only one attendee of the Sunday event, Robert (Bobby) Crawford, was also at the first anniversary of the Bruce County forest. When Crawford… went to the opening of the first Bruce County Forest on May 6, 1938 he perched on a tree stump and sang for the crowd that day. …The first conservation and reforestation committee… was formed in 1937 when Bruce County had a different look. Back then, years of logging, clearing and fires had turned formerly lush forests into sand in what was once the traditional territories of the Saugeen Ojibway Nation. …At the ceremony, event host Chris LaForest announced that Bruce County forest has been certified as an Eastern Ontario Model Forest by the Rainforest Alliance and the Forest Stewardship Council (FSC). A bill recently drafted by State Senator Mike McGuire but not yet law has mustered only modest interest locally. …McGuire’s bill, SB-1453, if enacted, would give Cal Fire and district attorneys more time than is currently allocated to prosecute marijuana growers who cut down trees illegally and make room for commercial operations. In a press release, McGuire explained that, “Illegal conversions are polluting our pristine watersheds, threatening our drinking water supplies, killing wildlife and ushering in near irreversible harm to California’s beloved forests.” …For decades, growers who have wanted maximum sunshine for their plants and room for greenhouses have been chopping down trees. At the same time, they have also used trees to camouflage cannabis. 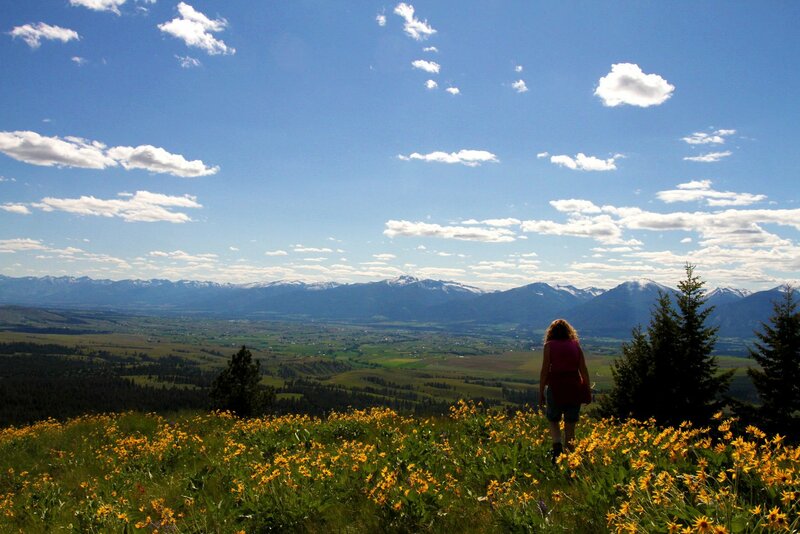 A poll of Montanans that asked about continued protections for Wilderness Study Areas has exposed deep fissures between the state’s voters and those they have elected to represent them. Sen. Steve Daines and Rep. Greg Gianforte, both Republicans, have introduced bills in Congress to open up areas now protected as WSAs. Daines’ proposed bill eliminates wilderness status from all or part of five of the study areas, affecting about 450,000 acres. Gianforte’s bill goes farther, affecting 700,000 acres in 29 WSAs overseen by either the Forest Service or the U.S. Bureau of Land Management. The wild country affected by Daines’ bill includes the Blue Joint and Sapphire WSAs south and east of Hamilton, the Big Snowies WSA near Lewistown, the Middle Fork Judith WSA south of Stanford and the West Pioneer WSA east of Wisdom. VicForests has been banned from logging in areas of sensitive greater glider habitat in the central highlands until next year, pending the outcome of a legal challenge. The federal court on Thursday granted an injunction to conservation group Friends of the Leadbeater’s Possum to protect the mountain ash forest until 25 February, when a three-week trial on the validity of the central highlands regional forests agreement (RFA) is due to commence. Logging was due to start from Friday. The order protects four logging coupes and a roadway where Friends of the Leadbeater’s Possum allege that the Greater glider, Petauroides volans, has been seen. Greater gliders are listed as vulnerable under the federal Environment Protection and Biodiversity Conservation Act 1999 (EPBC Act). The area is also within the habitat footprint of the critically endangered Leadbeater’s possum. It’s time for the Government to step up and give the Forestry industry some much needed certainty around its strategy for the future, National’s Forestry spokesperson Alastair Scott says. “Ahead of opening the new NZ Forestry Service in Rotorua tomorrow, the Prime Minister and the Minister for Forestry Shane Jones have set big expectations the industry will finally get some much-needed information about how the Government plans to grow the Forestry Industry. “The industry is still keenly awaiting the proposed National Forestry Strategy that they promised in the election,” Mr Scott says. “There are three big questions that need answers; where are the seedlings coming from, where are the trees going to be planted and who is going to plant them? With warm weather, a high snowpack and floodwaters rising throughout the province, it may seem like B.C. is set to repeat last year’s weather patterns, which led to a catastrophic summer of fires. But it’s still too early to reliably predict the wildfire forecast, even though there are already 45 active fires burning in B.C. and a few of those burned all winter. Last summer, the province was in a state of emergency for 10 weeks, about 65,000 people were forced from their homes, more than 190 houses were destroyed and the province was blanketed with thick smoke. More than $568 million was spent trying to control more than 1,346 fires that covered 1.2 million hectares. And it could get worse — wildfires are likely to increase in intensity and frequency, due to climate change, a report by Canadian Wildland Fire Strategy says. The results of a $900,000 investigation into last year’s fires and floods…are expected very soon. 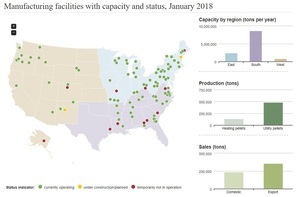 The U.S. Energy Information Administration recently announced that U.S. manufacturers of densified biomass fuel reported producing 620,000 million tons and selling 600,000 million tons of fuel products in January. The data was released as part of the April edition of the EIA’s Monthly Densified Biomass Fuel Report, which includes data for January. The EIA collected data from 87 operating manufacturers of densified biomass fuel to complete the report. …The 87 manufacturers that submitted monthly data reported having a total annual production capacity of 11.83 million tons. …Inventories of premium/standard wood pellets fell to 212,304 tons in January, down from 282,844 tons in December. Inventories of utility pellets increased from 290,707 tons in December to 356,449 tons in January. You can’t manage what you don’t measure. …In recent years, though, satellite and aircraft instruments have begun monitoring carbon dioxide and methane remotely, and NASA’s Carbon Monitoring System (CMS), a $10-million-a-year research line, has helped stitch together observations of sources and sinks into high-resolution models of the planet’s flows of carbon. Now, President Donald Trump’s administration has quietly killed the CMS, Science has learned. …Many of the 65 projects supported by the CMS since 2010 focused on understanding the carbon locked up in forests. …With CMS financing, NASA scientists worked with the Forest Service to develop an aircraft-based laser imager to tally up forest carbon stocks. “They’ve now completed an inventory of forest carbon in Alaska at a fraction of the cost,” says George Hurtt, a carbon cycle researcher at the University of Maryland in College Park, who leads the CMS science team. The first-ever Pub Talk was the brainchild of Wallowa Resources program director Jean Jancaitis. Discussion focused on fire, drought and public perceptions of the blues. …The talk featured OSU professor Paul Oester of La Grande, who has served as the forestry extension agent in southwest and northeast Oregon for 38 years. 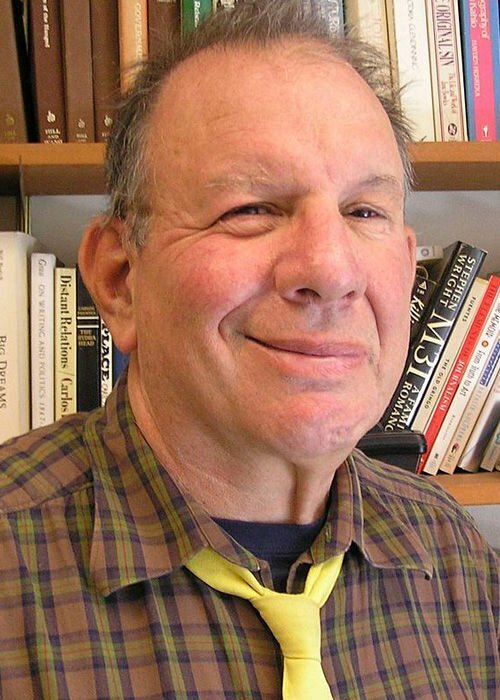 Professor Mark Ducey of the University of New Hampshire specializes in forest biometrics and management and Professor Larry Hamilton is a sociologist who specializes in statistical methods. Hamilton shared his observations of the effect of climate change on both New Hampshire and eastern Oregon forests. Through the use of graphs, he showed that New Hampshire winters are getting steadily warmer while northeast Oregon is experiencing longer, drier and hotter summers. 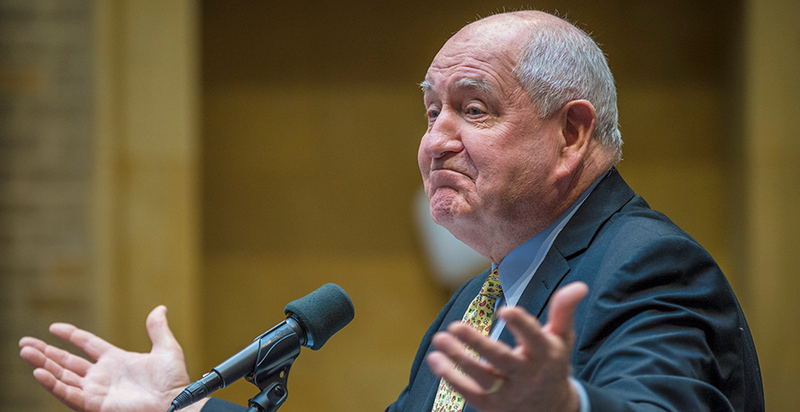 Agriculture Secretary Sonny Perdue’s longtime donors and friends were beneficiaries of a new EPA policy declaring that burning biomass for energy doesn’t increase heat-trapping carbon emissions. Earl and Wanda Barrs, who own and operate a tree farm, organized a meet-and-greet last July for Perdue and EPA Administrator Scott Pruitt. …While the Barrs aren’t Pruitt’s political patrons, the meeting and subsequent policy announcement raise concerns, said Tyson Slocum, energy program director with watchdog group Public Citizen. To Slocum, it was another example of Pruitt deciding a policy that benefits industry at the expense of public health and the environment. …Whether burning trees for energy actually has no effect on the climate is debatable.